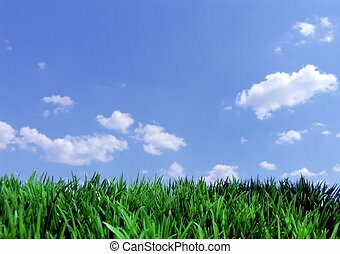 Grass and sky. 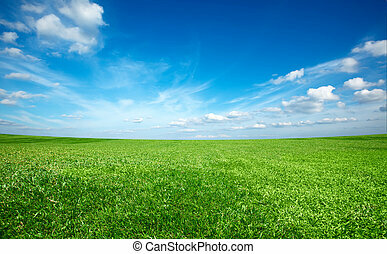 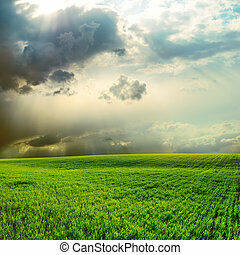 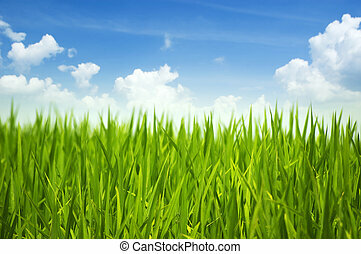 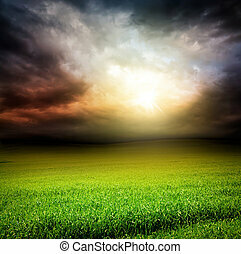 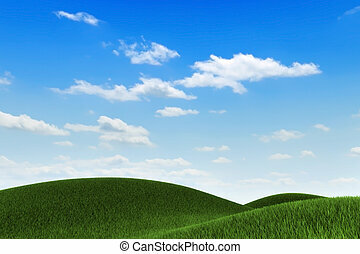 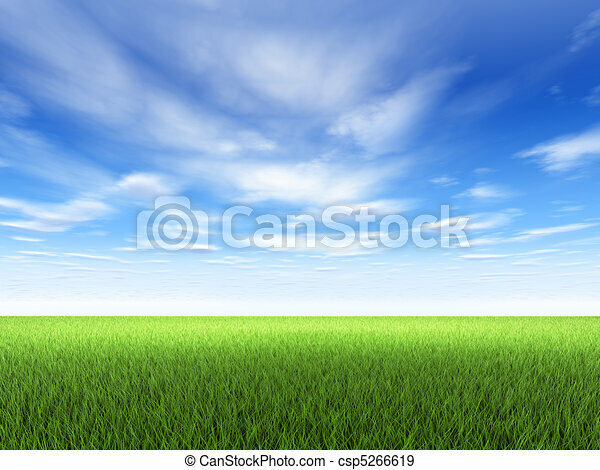 Field of fresh green grass and blue sky with clouds. 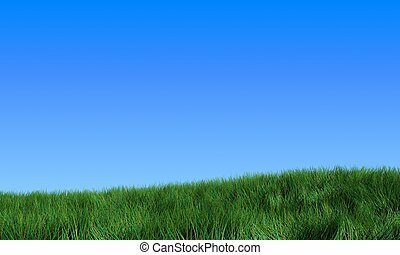 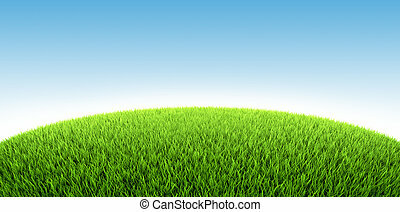 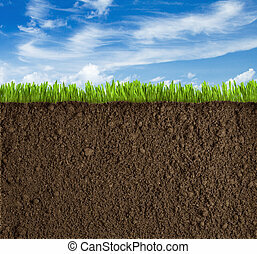 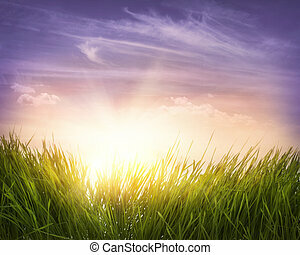 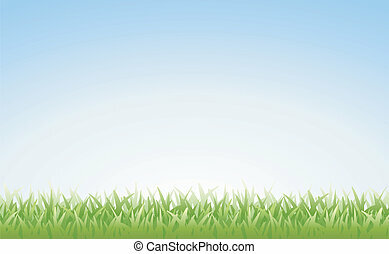 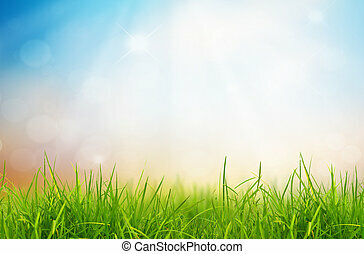 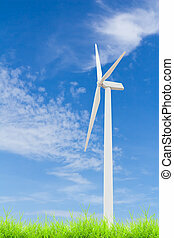 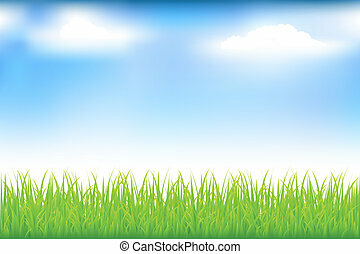 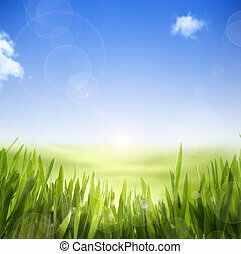 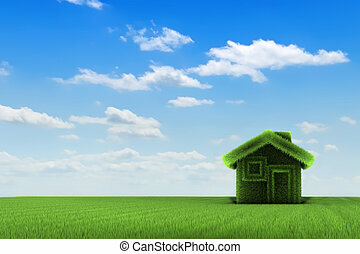 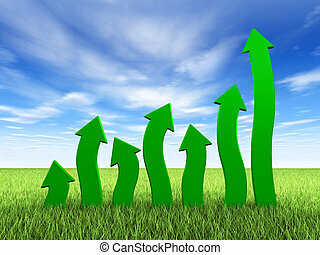 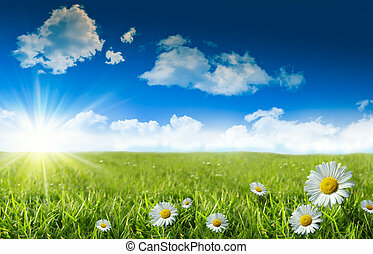 Illustration of grass and clear blue sky. 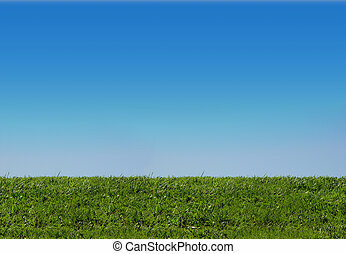 Tiles seamlessly.